Despite the threat of all-out war with the US and its allies in the Pacific and the weight of new UN sanctions, North Korea is to push ahead with full-scale development of its nuclear and missile technologies. During the Second Plenum of the 7th Central Committee of the Workers’ Party of Korea held on Saturday, North Korean leader Kim Jong-un said that military development was a key defensive strategy against the US. On September 3, North Korea successfully tested a hydrogen bomb which caused a 6.3 magnitude earthquake in the region. Initial estimates about yield indicate the bomb is equal to 120 kilotons, far more powerful than any of its past five nuclear tests. The UN Security Council passed the harshest set of sanctions yet on September 12. The measures included restricting the North’s oil imports and its textile exports, among a list of other items. US President Donald Trump has hinted at the military option to “totally destroy” North Korea. He maintains that 25 years of cajoling and diplomatic efforts have failed to deter Pyongyang from further developing its ballistic missile and nuclear technologies. But Trump has also pressured China to exert its influences as North Korea’s largest trading partner. In late September, Chinese banks said they were ordered by the government to implement UN sanctions against North Korean companies. The Chinese Commerce Ministry also said it would shut down North Korean companies operating in China. 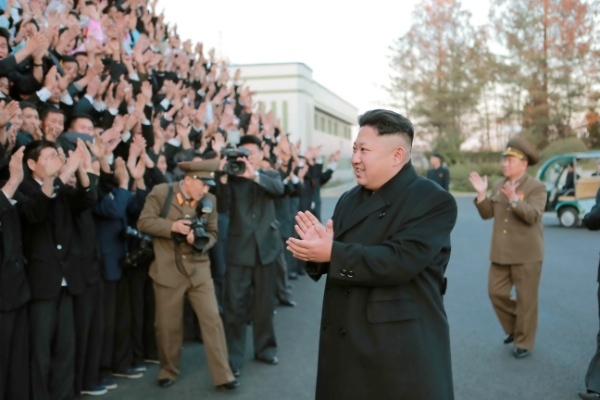 But Kim Jong-Un remains defiant. “The nuclear weapons of the DPRK are a precious fruition borne by its people’s bloody struggle for defending the destiny and sovereignty of the country from the protracted nuclear threats of the US imperialists,” he said on Saturday in remarks carried by the Korean Central News Agency.